The following excerpt is from Mythology: Timeless Tales of Gods and Heroes by Edith Hamilton (Little, Brown & Company, 1953). Taken from the third-century poet Theocritus. This youth, whose name is so famous, has a very short history. Some of the poets say he was a king, some a hunter, but most of them say he was a shepherd. All agree that he was a youth of surpassing beauty and that this was the cause of his singular fate. Kissed him, lay beside him. He never woke to see the shining silvery form bending over him. In all the stories about him he sleeps forever, immortal, but never conscious. Wondrously beautiful he lies on the mountainside, motionless and remote as if in death, but warm and living, and night after night the Moon visits him and covers him with her kisses. It is said that this magic slumber was her doing. She lulled him to sleep so that she might always find him and caress him as she pleased. But it is said, too, that her passion brings her only a burden of pain, fraught with many sighs (113-114). The following excerpt is from The Penguin Dictionary of Classical Mythology by Pierre Grimal (Penguin Books, 1991). Selene saw Endymion, depicted in the legend as a young shepherd of great beauty, fell violently in love with him and seduced him. 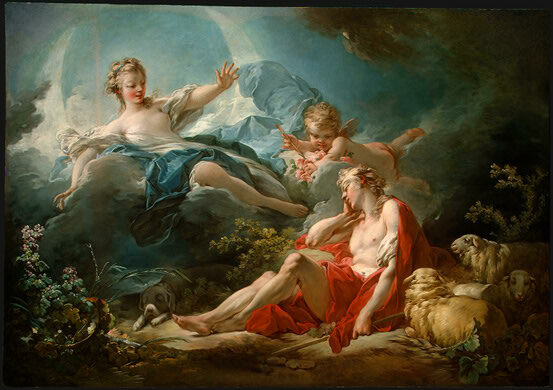 At Selene1s request Zeus promised to grant Endymion one wish; he chose the gift of eternal sleep, remaining young forever. Some versions claim it was during this sleep that Selene saw him and fell in love with him (136). The following is an excerpt from Omer Englebert’s Lives of the Saints. Translated by Christoper and Anne Fremantle. 1951. (New York: Barnes and Noble, 1994). Simon lived in Bethsaida on the north shore of the lake of Tiberias and there followed the calling of fisherman with his father, Jona, and his brother, Andrew. He married and for some time was a disciple of St. John the Baptist. When, having left all, he came to join the Savior, "Jesus looked at him closely, and said, 'Thou art Simon, the son of Jona; thou shalt be called Ciphas' (which means the same as Peter) (John I, 42). He at once took his place at the head of the apostolic college; from that time he appeared in all the Gospel scenes and almost always played a leading part in them. He was present at the marriage at Cana, at the feeding of the five thousand, at the miraculous drought of fishes, at the cure of the his mother-in-law and of a host of other sick people. With James and John, the sons of Zebedee, he witnessed the Transfiguration on Thabor and the Agony of the Garden. He heard, and sometimes provoked, the most important statements of the divine Master. Before anyone, he professed belief in the divinity of the Savior: "Thou art the Christ, the Son of the living God." Jesus then replied: "Blessed art thou, Simon son of Jona; it is not flesh and blood, it is my Father in heaven that has revealed this to thee." Then he added: "And I tell thee this in my turn, that thou art Peter, and it I upon this rock that I will build my church: and the gates of hell shall not prevail against it" (Matt. Xvi, 16-18). 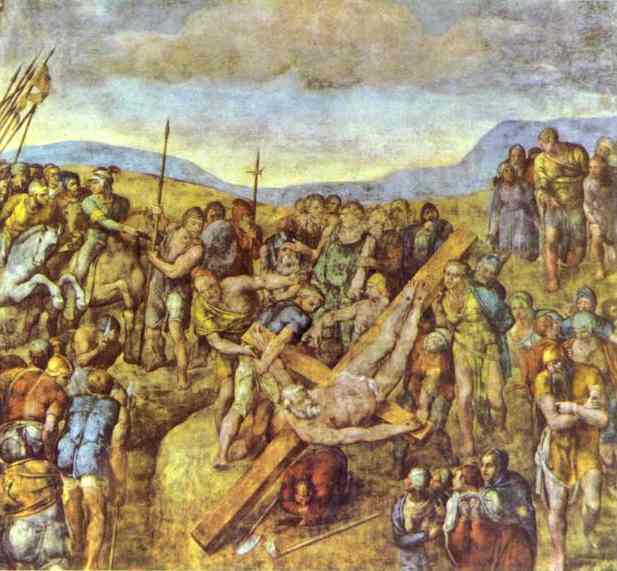 During the passion, Peter also showed his courage in striking Malchus with a sword, but he ended by abandoning his Master and even denied Him thrice in the high priest's courtyard. He was the first of the apostles to see Jesus risen and, after the ascension, took leadership of the little Christian community. On the day of Pentecost, he spoke in the name of all and converted three thousand people. His authority constantly grew; miracles took place along his way; his shadow, cast upon the sick, suffered to cure them. About the year 43, Peter was at Jerusalem where Herod Agrippa had him imprisoned; he was there again about the year 50, presiding over the council and deciding, with Paul and Barnabas, on the entry of the Gentiles into the Church. He had first established his Episcopal see at Antioch; it is believed that he occupied it for seven years and gave place, about 42, to St. Evodius. He stayed afterwards at Corinth; then was bishop of Rome, where he died, crucified head downwards, during Nero1s persecutions (249-250). 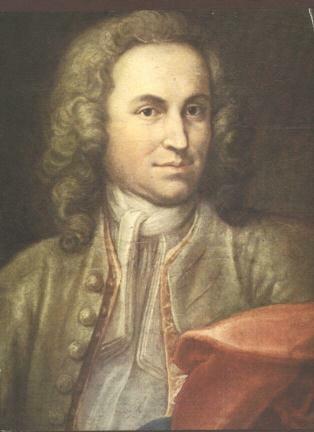 The following excerpt is from Johann Nicolaus Forkel's Johann Sebastian Bach: His Life, Art, and Work. 1802. Translated by Charles Sanford Terry. (London: Constable and Company, 1920). The Count always called them "my Variations" and was never weary of hearing them. For long afterwards, when he could not sleep, he would say, "Dear Goldberg, play me one of my Variations." Perhaps Bach was never so well rewarded for any composition as for this. The Count gave him a golden goblet containing one hundred louis d'ors [...]. (119-120).